Even the most sophisticated cyber security strategy is not foolproof. 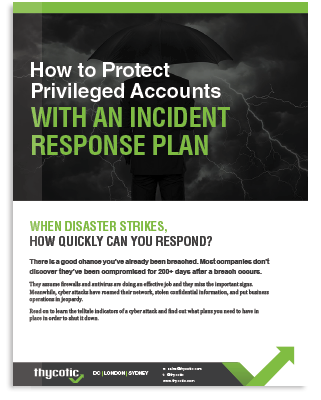 You need to be ready for a cyber attack with a proactive, coordinated incident response plan. Use this resource to launch your own incident response strategy. With your incident response plan documented and tested, you can respond swiftly and effectively when a cyber attack occurs.